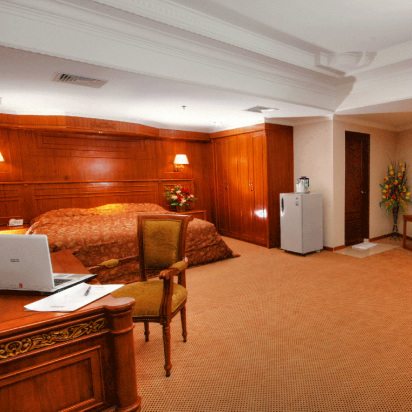 The rooms in classic Indonesian design, using wood and furniture from Jepara choice. So you feel like home. Mosque of Al-Mahsun magnificent, you can see directly from your room. Hair dryer & saver at Bathroom.